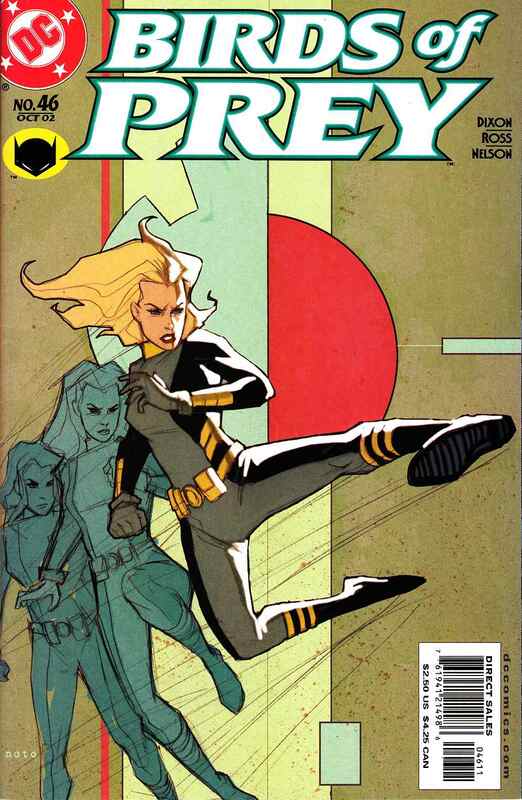 WRITTEN BY CHUCK DIXON; ART BY DAVE ROSS AND NELSON DECASTRO; COVER BY PHIL NOTO. Writer Chuck Dixon exits BIRDS OF PREY with a bang! Black Canary, Deathstroke the Terminator, Eddie Fyers, and Connor Hawke (the son of Green Arrow) are all trapped on an island which exists out of time. With hope of escape dwindling, these unlikely allies must race against the clock and one another to find a priceless secret that could change the way we live!